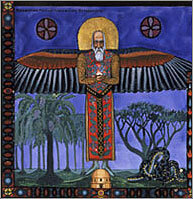 Particular reference is made to the interface between analytical psychology and spirituality. The course takes the form of seminars led by G.A.P. members in small groups, with room for discussion. Students will be asked to do some preparatory reading and prepare presentations. The Guild runs 2 courses, one in London and one in Oxford and both courses start in September. The London course is on Wednesday evenings and the Oxford course is on Friday evenings, and both courses run from 5.30pm to 7pm with occasional double seminars from 5pm to 8pm. The cost of the course is £400 per term. Please click here to download the course syllabus. There are no entry requirements for the Foundation Course but G.A.P. reserves the right to refuse an application.